Clarke Energy is a multinational specialist in distributed power generation solutions. Our international headquarters are located in Knowsley, near Liverpool. Our capabilities range from the supply of a gas fuelled power generation engine, through to the turnkey installation of a multi-engine power plant. Clarke Energy is an authorised distributor and service provider for Jenbacher reciprocating gas engines with a strong focus on aftersales support. Clarke Energy’s relationship with Jenbacher and in-country resources gives us an ability to provide unparalleled service and maintenance, along with local supply of original equipment manufacturer approved spare parts. Natural gas-fuelled combined heat and power (CHP) facilities - to enable fuel, carbon and cost savings for hospitals, universities, commercial buildings and greenhouses. 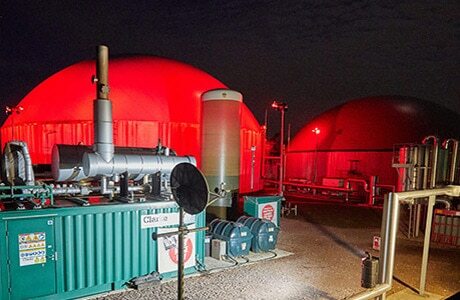 Biogas-fuelled combined heat and power facilities for municipal and commercial waste, waste water treatment works and for farm-based agricultural biogas plants. Coal mining - closed coal mine sites continue to produce gases, which if they escape to atmosphere are a source of carbon emissions. Utilisation of this gas for power generation, reduces pollution and generates onsite power generation. Clarke Energy provides comprehensive coverage for the country and has engineers based at various locations across the United Kingdom. Clarke Energy’s service coverage of over 100 engineers is divided across eight different regions. Each region has an area supervisor trained to the highest levels of Jenbacher proficiency. The supervisor is supported by a team of local service engineers, each with a van stocked with key spare parts and consumables. 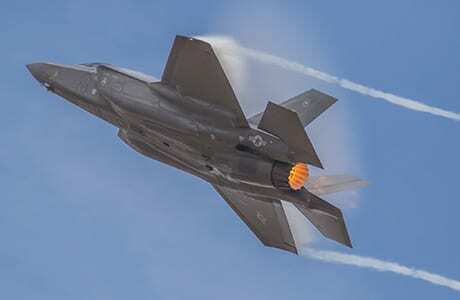 This results in the quickest response times to unscheduled maintenance events and minimal levels of engine down-time. These engineers are supported by a remote help desk that can help support the customer with engine diagnostics. Our UK operations have the largest store of Jenbacher approved spare parts located outside of Austria. The store is located with ready access to the motorway network for rapid dispatch around the country. Clarke Energy’s service facilities have a Jenbacher authorised engine overhaul capablity of rapidly refurbishing a number of used engines in parallel and a cylinder head refurbishment line. The company also stocks a number of engine short blocks and is able to provide swing engines in order to minimise the downtime of generation assets at the point of overhaul. Clarke Energy has, from the outset, endeavoured to meet the highest industry standards and has a dedicated team for Quality, Environment, Health and Safety (QUENSH). 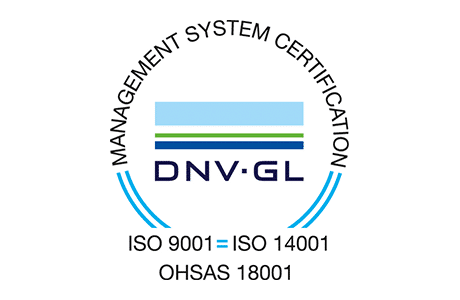 The accreditation through DNV of ISO9001:2015, ISO14001:2015 and OHSAS 18001:2007 have been combined and incorporated into a fully Integrated Management System (IMS). Quality is one of our key company values. The International Standards Organisation (ISO9001:2015) certificate for Quality Management Systems ensures Clarke Energy’s commitment to this. Clarke Energy is dedicated to making sure its management principles and motivation are realised through formal systems that provide consistent good quality services to all our customers and business partners. Clarke Energy ensures that the performance of the company matches the high levels of environmental performance of the products we supply. The ISO14001:2015 environmental management certificate ensures we are able to measure the environmental impact of all our activities, from engineering and installation to maintenance. Not only do we comply with all applicable laws and regulations, our accreditation allows the business to constantly monitor its performance and continuously improve its practices. Clarke Energy is dedicated to ensuring the safety of our employees. The company is delighted to have won the International British Safety Council Award for consecutively, year-on-year, since first participating in 1999. Clarke Energy works hard to ensure that its employees are protected to the highest levels with personal protective equipment that exceeds legal requirements and procedures in place to minimise any risks associated with our employees work. The attainment of OHSAS 18001:2007 demonstrates Clarke Energy’s formal Health and Safety systems, that are aligned to internationally recognised best practice to provide the best possible working conditions for its employees. Due to the nature of our work the company recognises the need for ensuring the highest levels of gas safety procedures are also attained. The company is therefore a participant in the Gas Safe Scheme which has superseded the CORGI register. It is a legal requirement in the UK that any company carrying out gas related work must be on this register. Clarke Energy had a dedicated team familiar with a range of UK-specific requirements including the approach to connection to the electricity grid, UK laws and regulations. Clarke Energy is regularly called upon to support our clients with the completion of successful G59 grid synchronisation tests. Clarke Energy has invested in a G59 test rig which can be deployed to conduct the tests that are required to connect embedded generation plant to the district network operators (DNOs) electricity distribution systems. The benefit of this to the customer is for ease of connection and that they do not need to coordinate and arrange this test with third parties. This is a European Union Directive which requires employers to protect workers from the risk of explosive atmospheres. The Dangerous Substances and Explosive Atmospheres Regulations (DSEAR). DSEAR is the UK’s interpretation of the ATEX Directive. It should be noted that DSEAR is similar but different to interpretations in the rest of Europe. The CDM Regulations govern construction design and management. Everyone controlling site work has a responsibility to ensure that working conditions comply with Health and Safety laws before work begins. Ensuring that the proposed work is not going to put others at risk, require planning and organisation. This applies whatever the size of the site. Clarke Energy has the ability to act in a role of CDM coordinator for the installation of gas engines or can report directly to the development CDM coordinator. 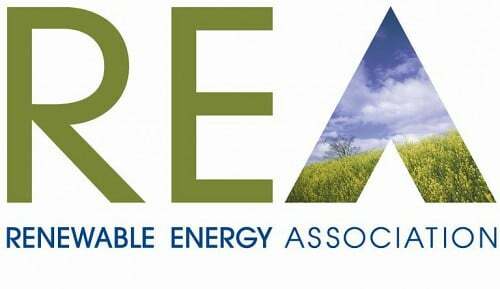 Clarke Energy is an active member of the Renewable Energy Association (REA). 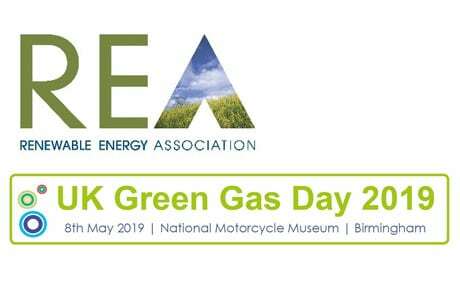 The REA was established in 2001, as a not-for-profit trade association, representing British renewable energy producers and promoting the use of renewable energy in the UK. The REA endeavours to achieve the right regulatory framework for renewables to deliver an increasing contribution to the UK's electricity, heat and transport needs. Clarke Energy is a member of the Association for Decentralised Energy, previously the Combined Heat and Power Association. The CHPA is the leading advocate of an integrated approach to delivering energy services using combined heat and power and district heating. Clarke Energy is pleased to support the UK's contribution to the International Energy Agency's Bioenergy Task 37. Task 37 is a working group that covers the anaerobic digestion and landfill industries. Clarke Energy is an Associate Member of the UK District Energy Association. The ukDEA is a trade body that links partners, owners and operators of the largest district energy schemes in the UK. The aim of the body is to promote district energy as a means to deliver significant carbon savings and also establish a direct link between the government and the industry’s market base. Clarke Energy was founding member of the Anaerobic Digestion and Biogas Association (ADBA), the first trade organisation in the UK dedicated solely to biogas. Clarke Energy has been named as one of a select group of companies, chosen by the Department for International Trade to act as an 2018 Export Champion for the Northern Powerhouse. From 6 April 2017, employers in Great Britain with more than 250 employees are required to publish an annual gender pay gap report. View Clarke Energy’s 2018 Gender Pay Gap Report here.